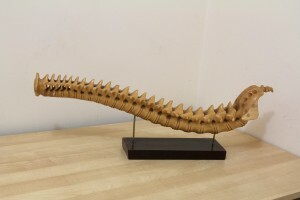 What’s the difference between Osteopathy and Chiropractic treatments? 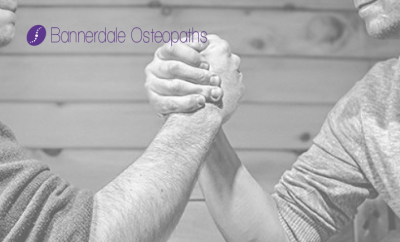 As an osteopath working in Sheffield at Bannerdale Osteopaths I’m often asked the difference between osteopathy and chiropractic and the truth is not a lot, they have more in common than they differ. That being said I thought it would be useful for me to share my thoughts with others. These are my opinions as an osteopath so biassed admittedly. 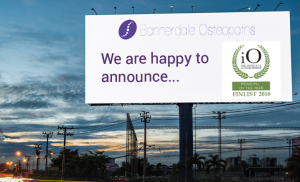 I did however make the decision to be an osteopath rather than a chiropractor as I believe osteopathy offers a more rounded healthcare service to patients. 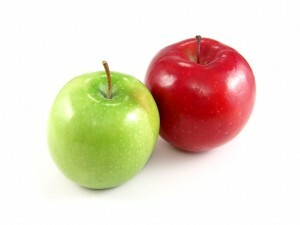 We both primarily treat people suffering from pain arising from their m uscles, joints, nerves, tendons and ligaments. So mostly aches and pains of varying degrees. We both use our hands to release bits of the body to help recovery. We are both trained to use special joint manipulation techniques that often result in a ‘pop’ or ‘click’ and are rarely painful. The philosophy of both osteopathy and chiropractic allow personal interpretation so the differences between practitioners are usually more to do with how they feel it best to help you rather than if they are an osteopath or a chiropractor. 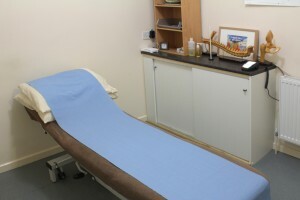 I have seen osteopaths practise like a chiropractor and chiropractors practising like osteopaths. 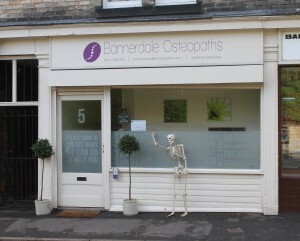 Chiropractors usually have shorter appointments 15-30 minutes, osteopat hs 30-45 minutes. Chiropractors might use x-ray during diagnosis, osteopaths rarely require it. Osteopaths usually use a wider variety of techniques such as massage and stretching in addition to joint mobilising techniques, chiropractors tend to focus more on the joints. 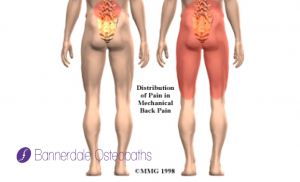 Osteopaths usually require fewer treatments overall as they actively involve you more in your rehabilitation. Chiropractors are often more interested in the position of joints whereas osteopaths are more interested in how they move. Chiropractors and osteopaths represent different schools of physical therapy but share similarities in that they offer, amongst other things, manipulation of joints and massage of muscles. Both chiropractors and osteopaths undertake a minimum of 4 years of training and are regulated to a high level by The General Osteopathic Council and The General Chiropractic Council who’s are responsible for ensuring the public are in safe hands. There are no comparative studies to suggest chiropractors are better than osteopaths or that osteopaths are better than chiropractors. It really comes down to the personal choice of individuals. Both Chiropractors and Osteopaths should give you excellent care and have you back to health as soon as possible. 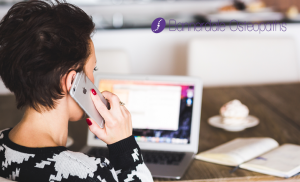 If you want to find out more or look at what appointments we have available have a look at the rest of the website Bannerdale Osteopaths or give us a call.